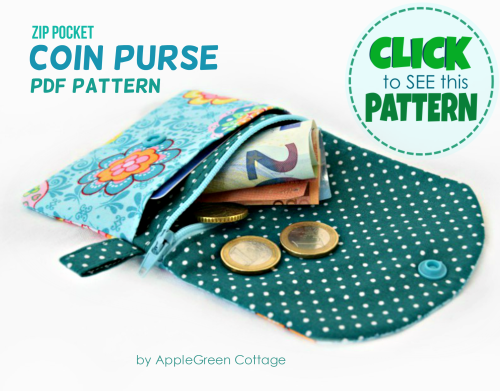 This coin purse pattern will help you make a small, flat and cute coin purse. 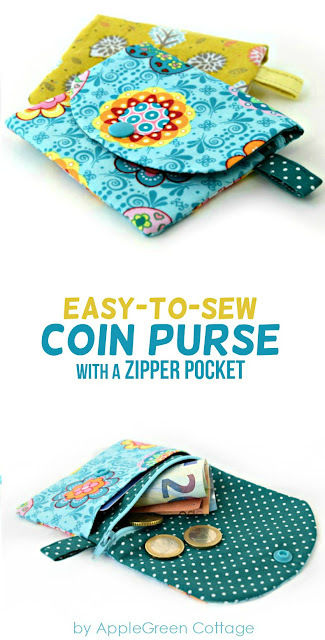 The zipper will keep coins safe inside while an additional slip pocket with a main closure flap will store the notes, coupons, or credit card if need be. 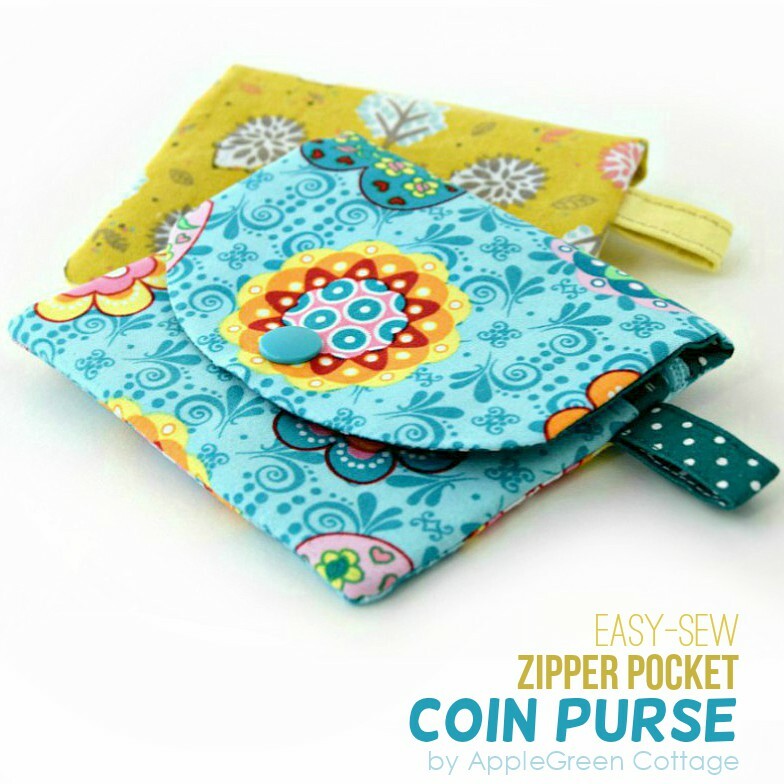 The combination of a zipper and a flap will make sure your coins never fall out! It's just perfect as your kid's lunch money pouch. And have I mentioned the little zipper tape-hiding tip? 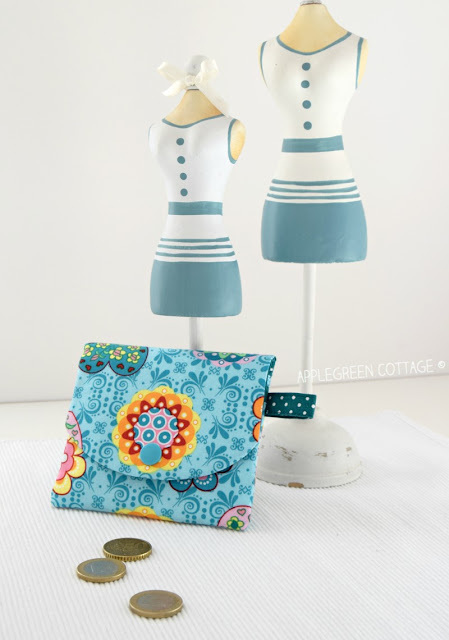 It will make your beginner-friendly sewing project go from basic to pro-looking. Check it out now! Do you need something that would not take up much space, and something that would be simple - yet practical? 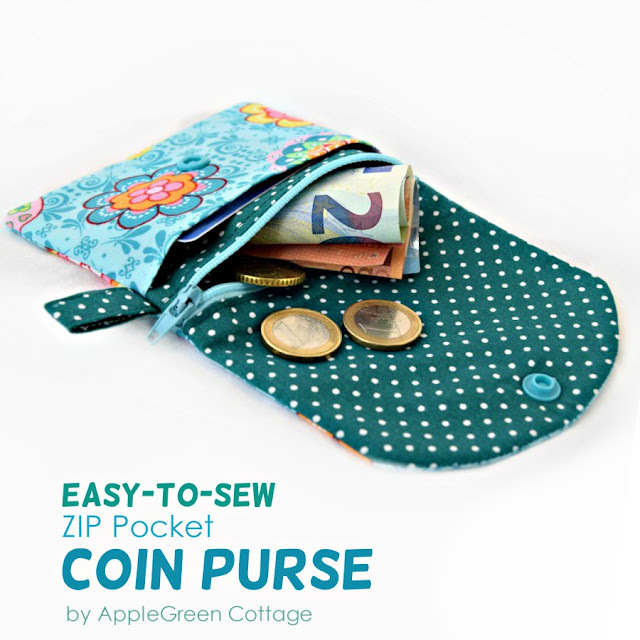 This coin purse is especially handy for when you don't want to carry around a full-fledged wallet, and need something really small to tuck into your jacket pocket or even attach to your tote bag, for a quick everyday visit to a nearby grocery shop or bakery. 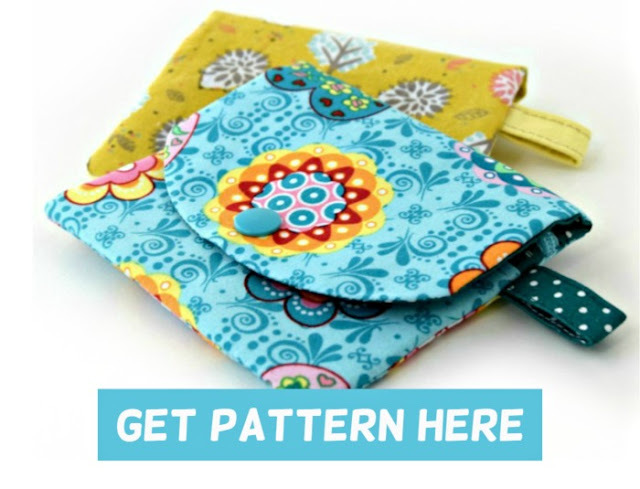 Use my coin purse pattern to make them in batches - keep them on hand for a quick hand made gift. I designed this coin purse one with a main zipper compartment, a slip pocket PLUS a flap, so you not only have two compartments, but also an added security from losing the coins. 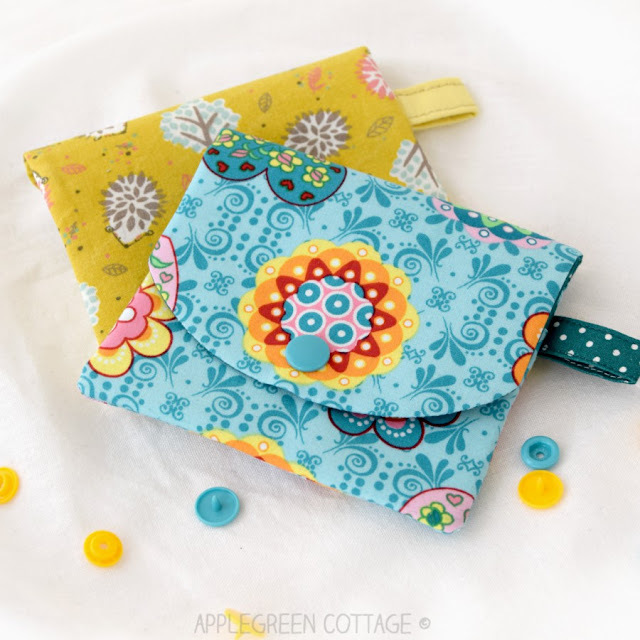 It also has a small loop for a key fob, keyring tab or a wristlet strap. The ZIP Pocket Coin Purse is small and flat, practical to carry around. The tab makes it easy to attach it on your key ring or clip on your bag. It's lined and reinforced by fusible fleece to keep its shape. Easy-to-scale pattern if you want a larger size. a quick-sew. Doesn't take a lot of time to complete. Makes an excellent handmade present for both kids and grown-ups. double security to prevent coins from falling out: zipper plus closure flap. Where is the PDF Sewing Pattern? All measurements are given in inch and cm. You can use the tab to attach the coin purse it to your kid's school bag. This way, you'll make sure your kid won't lose the lunch money. The pattern is beginner friendly. If you can sew straight lines, you can make this Zip Pocket coin purse. There are photos for each step, and clear instructions. Tips included. I want to make your project super easy and fun! Don't have a zipper foot for sewing zippers? No problem, I included a how-to for using your regular foot with zippers too! Oh, and one thing more: Sew-to-Sell. 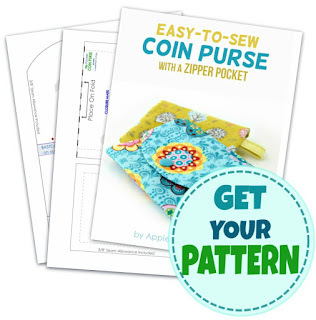 That's right, you're more than welcome to sell your finished handmade coin purses you sew from this pattern. And send me a photo or tag me, I love seeing what you make! So cute! 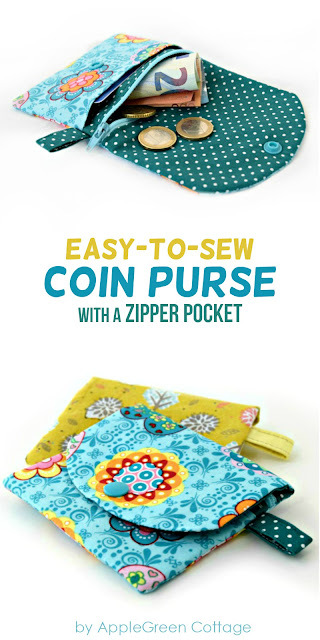 Great for when you need a quick sewing fix! A very cute little coin purse.